The 45th CACFair has its grand opening yesterday! 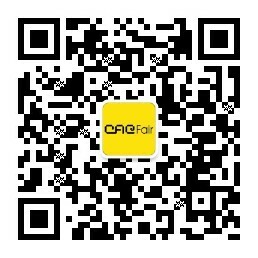 On the first day of CACFair, there was an explosion of popularity. Buyers from all over the world gathered at Nan Fung Exhibition Center, to share business opportunities with leading weaving enterprises in China's major industrial regions, and to purchase high-quality, competitive and innovative products. In the buyer registration, our staff warmly welcomed the buyers from around the world and made them the buyer cards to enter the exhibition hall. Among them, buyer Frank Marchel and Rainer Krick from Germany received his own long term card, he was pleased and said: "I come to CACFair to buy what I want twice per year. Now I have my own long term card, so it is more convenient to enter the fair." In the coming week, our buyer registration staff will continue to provide high-quality services to all buyers and wish them a great business in CACFair.